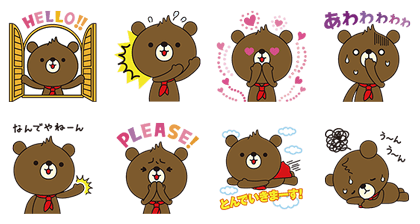 http://www.line-stickers.com/ – Hapita: The Happiest Bear Ever Line Sticker | Kansai Electric Power Co. wants to give their customers a way to check their power usage whenever they want! That’s why they created the incredibly convenient “Happy E-Miru Den” service and its mascot, Hapita. Feel happier yet? Friend Kansai Power’s official account to get this set. Available till October 14, 2015. 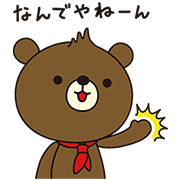 Publisher : The Kansai Electric Power Co., Inc. Copyright : THE KANSAI ELECTRIC POWER CO.,INC.